Dancers, runners, climbers and netball players are just some of the hundreds of participants who enjoyed the Our Bury St Edmunds Festival of Sport this month. The nine-day event offered have-a-go activities as well as opportunities for spectators including the chance to watch top level cyclists race through the town in the Tour of Britain. Feedback from the organisers of the different activities has been very positive with a number indicating they hope the event will be repeated. The Festival was organised by a partnership including Our Bury St Edmunds, which manages the Business Improvement District (BID), along with Abbeycroft Leisure, Suffolk Sport and St Edmundsbury Borough and Suffolk County Councils. 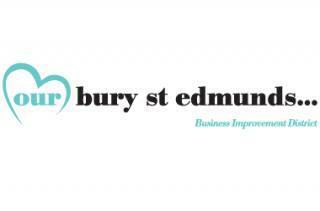 Our Bury St Edmunds Chief Executive Mark Cordell said: “It was wonderful to see people of all ages and abilities taking part in the different activities and even those that were affected by the rain still attracted a good turnout in the circumstances. Meanwhile, Our Bury St Edmunds is continuing to encourage people to get active as it prepares to bring a real ice skating rink to the town in December. Bookings for skating sessions will open next month.